The glazed white jar features the label in black on the lid. The jar is 3.5 inches in diameter and stands 3 inches tall. The manufacturer’s label on the bottom reads GHC Japan. 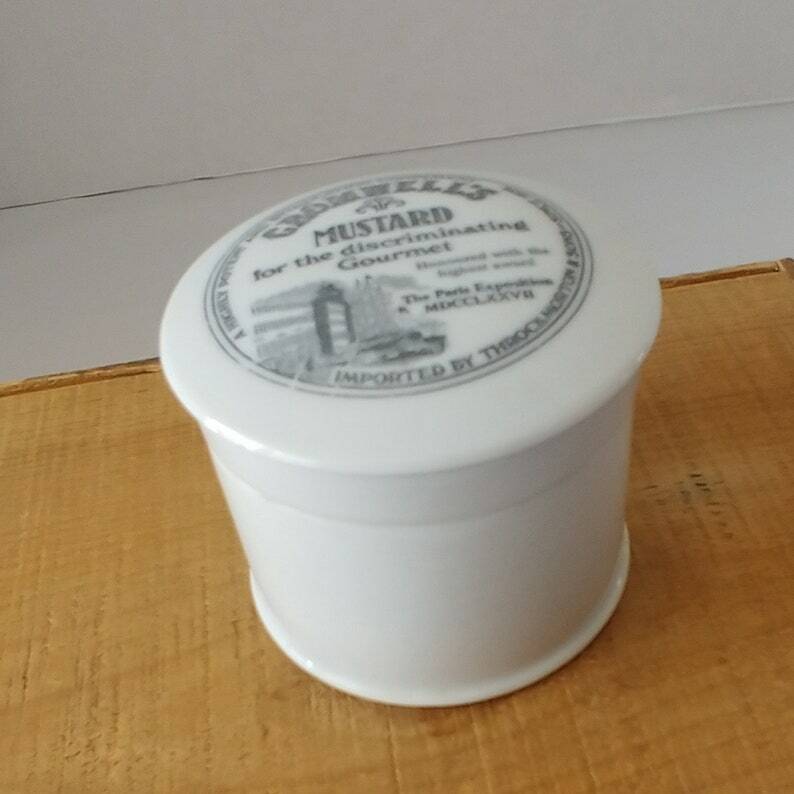 CONDITION: The porcelain jar and lid are in excellent condition with no chips or cracks. There are minor wear and markings on the unglazed edges on the bottom.